Cari Ray is a songwriter and storyteller who’s style will make you think you’ve landed in the early 20th Century. Her tales will quickly wrap you in a web of triumph and tragedy, will make your hips shake on minute, and your heart break the next while running the gamut of traditional American music… a helping of blues, a little folk, a rasher of ragtime, and a slight flavor of old-time country. Her live show delivers it all handily, with quick wit, infectious groove, tasty guitar work, and a huge voice. 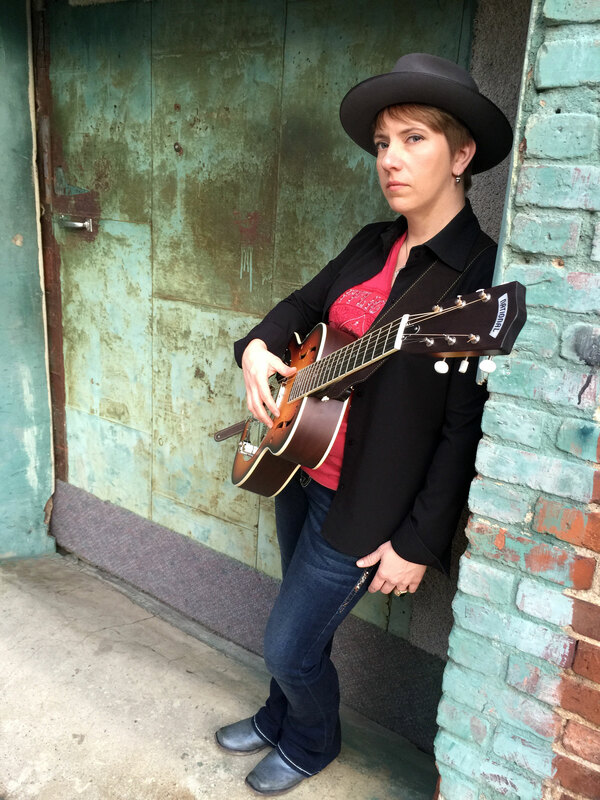 Cari continues to draw accolades for songwriting, most recently with her track “It’s About Me” winning the blues songwriting competition at the 2015 Smoky Mountains Songwriters Festival. Solo or with her band, playing for 20 or 2000, Cari finds a way to strike a perfect balance between energy and intimacy. With a unique blend of heart and grit, this powerhouse entertainer just doesn’t miss.